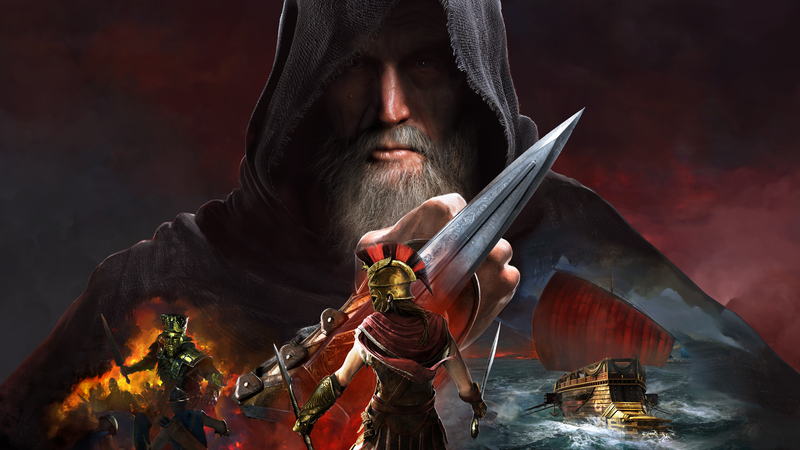 Assassin’s Creed Odyssey recently hit a major milestone in its development cycle, having gone gold. With a few weeks to go until release, the hype continues to build. Ubisoft is feeding the anticipation with yet another TV spot. This time, however, the brief commercial features live action footage. The live action trailer opens with citizens of a Greek city crying for help, while running from a group of soldiers. While this action unfolds in the foreground, the city crumbles in the background. Statues topple over, crushing buildings beneath them on the way down. In one frame, a Gorgon, perhaps Medusa herself, is seen attacking a woman. The camera, previously uninterrupted by cuts, then cuts to two soldiers preparing for battle. From there, the trailer switches to gameplay sequences, none of which seem new. Sword fighting, naval combat, and a glimpse at a boss battle close out the live action TV spot. This trailer focuses more on Assassin’s Creed Odyssey’s action. Meanwhile, the game’s previous TV spot teased a bit of the story, in addition to showing off exciting gameplay moments. Assassin’s Creed Odyssey aims to take the series in a bold new direction. At the heart of this fresh direction rests heavy emphasis on RPG mechanics. Is Ubisoft’s long-running franchise ready for such a transition? Fans will be able to determine this for themselves soon enough. Assassin’s Creed Odyssey arrives on the PlayStation 4, PC, and Xbox One on October 5, 2018.